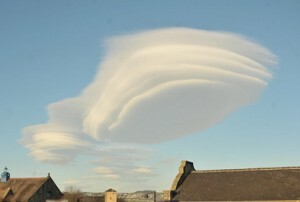 RUSSIA – Alien spaceships, disguised as clouds, are moving across Russia and England – and parts of Asia. Several Russian has captured an unexplained phenomenon streaking rapidly across the sky. Several videos were posted on YouTube on Christmas Eve. 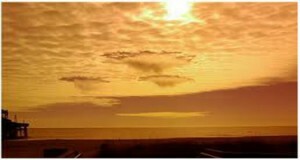 There have been over a hundred sightings of the cloudy orbs moving quickly across the Russian skies. In one film the UFO is seen against a blue sky as it hovers above a metal structure. Later it is spotted during the evening as it moves over a block of flats. The spaceships seem to change shape and often appear to be much larger than the buildings they are hovering above. It is the latest of many recent UFO sightings in Russia and Asia. 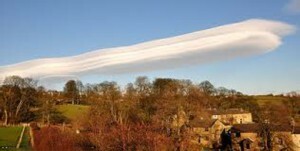 In the meantime, reports of the “cloud UFO” keep coming in to authorities in Russia and England. ← Are aliens watching us? It really looks like something is hiding in these clouds.. next time i see one, i shoot it with my bb gun. Alien creature found in Panama Four teenagers in Panama claim they encountered a creature that was photographed, dead on a rock. It appears to have an animal-like head, but a strange body with skinny, human like arms. Some say it's an alien . One of the most impressive narrators out there is veteran actor Morgan Freeman, and he's lending his impressive talents to a new Science Channel program, Through the Wormhole with Morgan Freeman, which is slated to premiere on June 9 at . We are not alone in the universe -- and alien life forms may have a lot more in common with life on Earth than we had previously thought. That's the stunning conclusion one NASA scientist has come to, releasing his groundbreaking revelations in . Is "Nemrud dagh" evidence of ancient Aliens ? We believe in aliens , The largest group of alien believers.